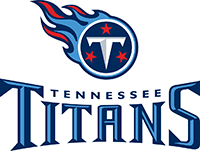 Tennessee Titans Fencing | Nashville, TN | Rio Grande Fence Co.
Rio Grande Fence Co. of Nashville is chosen time and time again to provide perimeter security at Nissan Stadium, home of the NFL's Tennessee Titans. St. Thomas Sports Park is the Titans' training facility and home of the team's annual training camp. Since 1997 when the franchise moved to Tennessee, Rio Grande Fence Co. of Nashville has been the exclusive provider of temporary fencing for training camp. Every July, our fence rental team sets up the driven temporary fence solution at St. Thomas Sports Park for the team. When Nissan Stadium opened in 1999, our company was contracted to install the black chain link fence with black windscreen around the players' and coaches' parking lot. The team requested additional measures to beef up security at the stadium's tunnel entrance. To meet the additional security needs, we were contracted to install a K-12 crash-rated wedge bollard system designed and tested to stop a 15,000 lb. vehicle moving at 50 mph. In 2016, we installed an 8'H black chain link fence around an open access area accessible from inside the stadium to serve as a smokers station on the main level of the facility. Throughout the years since the stadium opened, Rio Grande Fence Co. of Nashville has been called on for many projects inside and around the stadium site. Most recently in 2017, we installed a gray 80% blockage vinyl Permatex mesh on the inside of the Ametco perimeter fence system to provide an extra layer of security.